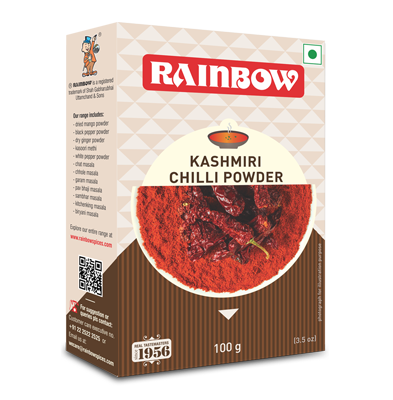 Rainbow Kashmiri Chilli Powder is made from finest quality Kashmiri chilli. It is ground and packed under hygienic conditions, with no added colours. It imparts an unmatched colour and flavour. 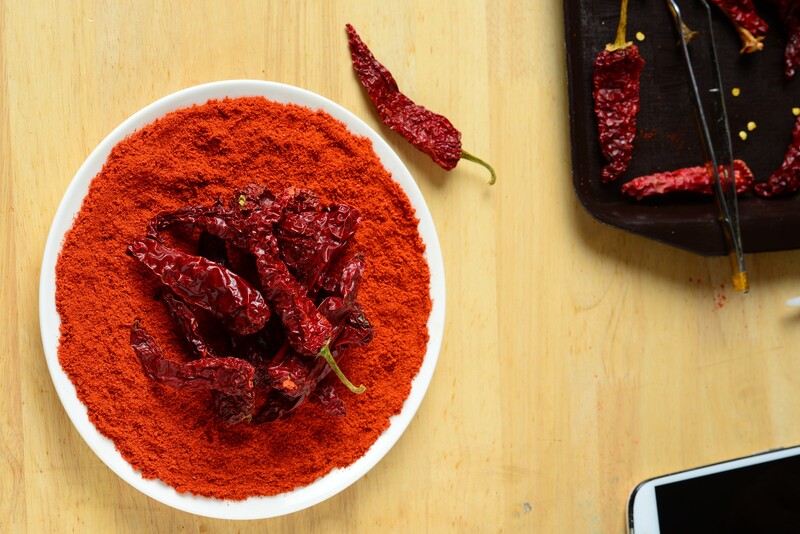 It gives a glowing red colour to dishes without imparting too much heat and making the dish more appealing, more palatable and less pungent. Kashmir Chilli Powder can be added to various marinades and preparations for shahi gravies, curries, vegetables and Tandoori dishes. It can be best used while making tomato sauce, soups, stews, pizza sauce and other such dishes. It can also be blended in equal proportion with regular chilli powder. This is often done to improve the color of the dish as well as to add hot taste.